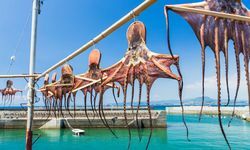 There's a reason most first time visitors restrict themselves to the main Japanese island of Honshu - it's blessed with such gems as Tokyo and Kyoto, the perfectly conical Mount Fuji and much, much more besides - but as Japan continues to grow in popularity so other parts of the country step in to the ever widening spotlight. Enter stage left Kyushu, the southernmost of Japan's main islands, and somewhere that contains even more reasons to nip over to Nippon. Previously a tricky place to reach, Kyushu is now fully connected to Japan's exceptional bullet train network, and most visitors will arrive from Honshu into Fukuoka, the island's largest city (and one somewhat confusingly also known as Hakata) - an eminently civilised place with a fine temperate climate. Should you not have visited Hiroshima in Honshu, from Fukuoka it's also possible to pay a poignant visit to the port city of Nagasaki, the scene of the second atomic bomb blast and the act that brought the Second World War to an end with the Japanese Emperor surrender a few days later. Today Nagasaki is a thriving and thoroughly charming city but various museums and memorials tell of its terrible past. Heading east from Fukuoka visitors can discover another of Kyushu's quirky claims to fame. 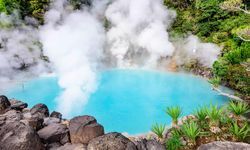 In a country well known for its geothermal activities, Kyushu is the epicentre (for want of a more appropriate word) of onsen (hot spring baths) culture, which plays a central part in Japanese life. 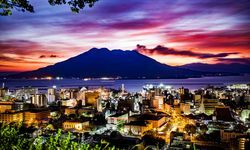 Beppu, with its eight famous 'hells' or baths, is the most famous onsen resort but the town is often packed with domestic tourists. Nearby Yufuin is a charming alternative and surrounded by well-marked walking trails. 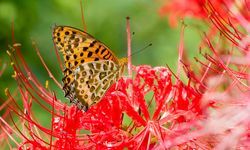 Much like with ryokans or traditional Japanese inns, onsens abide by a set etiquette that can be tricky for foreigners to navigate, but we can provide details on the do's and don'ts so you can enjoy this most Japanese of experiences safe in the knowledge you won't be creating any diplomatic disasters. 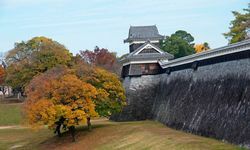 Next stop might be the magnificent castle at Kumamoto, which dates back to the 15th century and is widely recognised as one of the finest castles in all of Japan. An earthquake in April 2016 saw some damage done to the walls, but with typical efficiency, a full scale repair programme was begun just two months later. Nature's fickle, well, nature has also recently been in evidence at our next stop, Mount Aso, one of the world's largest volcanoes which has erupted magnificently in the last couple of years. 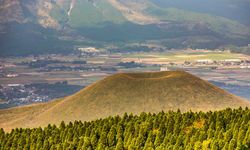 Far neater is nearby Komezuka, a sub-crater in the massive Aso caldera and a perfect cone that's covered in grass come summer. 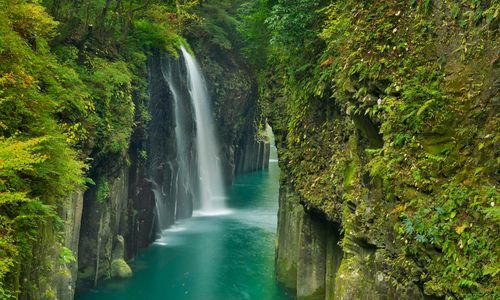 More volcanoes await in the dramatic Kirishima-Yaku National Park to the south of Kyushu. 007 fans will recognise Kirishima's crater lakes as the location of Bond baddie Blofeld's secret volcano lair and this is another place to enjoy trekking in truly incredible landscapes, with several well-marked routes to follow and photo opps galore. 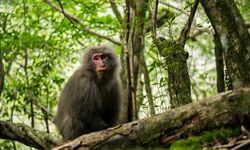 The 'Yaku' part of the national park refers to the UNESCO natural World Heritage Site of Yakushima, a fabulously lush island off the coast that's home to red-bottomed macaques, sika deers and pristine primary forests of Japanese cedar, some well over 2,000 years old. 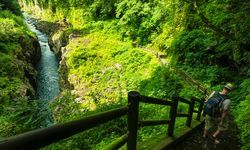 Yakushima is accessible by hydrofoil from what is most visitors' final port of call in Kyushu, Kagoshima, known as the 'Naples of Japan' thanks to the city's picturesque coastal setting in the shadow of a brooding (and very active) volcano - in this instance Sakurajima and not Vesuvius. The city is also home to the Museum of the Meiji Restoration, which chronicles this fascinating period of Japanese history in the 19th century when the country reversed a policy of discouraging foreigners that had lasted 250 years and heralded Japan's emergence as an industrial and military giant.